The Jesus of Matthew, Mark, Luke and John was an itinerant teacher, traveling throughout Galilee gathering those who were willing to join him in a revolutionary way of doing life that he calls “the kingdom of God.” The “kingdom of God” is not some place out in the heavens, nor is it a place some go to when they die. 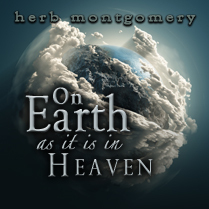 The Kingdom “of” heaven is a Kingdom “from” heaven, come to earth in the person of Jesus the Christ. This “kingdom of God” is a radical rearrangement of how we see God, ourselves and everyone else, including our enemies, that leads us to embrace a radical rearrangement of how we do life in the here and now. In short, what Jesus was referring to as the arrival of his “kingdom” was in reality the start of a whole new world. It is a radical break with life as we have known it, as we have been instructed is the natural way of life. It is a call to go against how we have been indoctrinated, as is told us in the scripts we have been handed, or the rules we have been given on how to play the game of life. To “follow Jesus” into this new world is to become one of his “disciples.” It is to break with all of that we have known, and say, “I want to live by an entirely different evaluation.” To embrace Christ’s new world is the most revolutionary thing a human being can do. It’s not about a ticket to go to heaven. Nor is it about escaping some postmortem eternal torment (both of which are strangely absent from the Jesus story itself.) It’s not about saying a simple prayer, going to church once a week and then simply going back to the way we’ve always lived our lives. 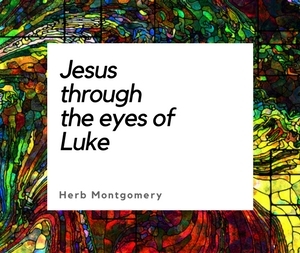 On the contrary, it is to adopt a completely counter intuitive way of seeing God, ourselves and others, which produce an entirely different way of living of which Jesus is the defining center. Friday Night’s Presentation is entitled A Time For Change. I will also be giving two presentations Saturday morning entitled The Awakening, and A World Where Love Reigns. If you are in the area this weekend, I’d love to see you. And if you can’t make it, please partner with Renewed Heart Ministries in prayer that Christ’s new world will be enlarged. Till the only world that remains is a world where Christ’s love reigns.